The Nigerian Army has retired 15 generals from the Nigerian Army School of Electrical and Mechanical Engineering (NASEME) Auchi, Edo State, from active service. 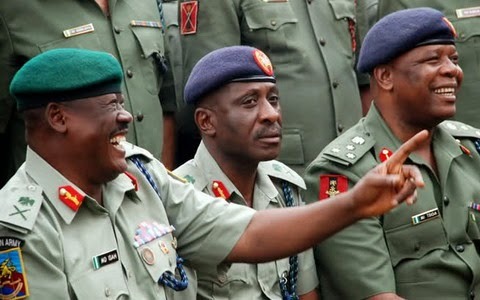 Among the 15, are 10 brigadier-generals while the remaining five are major-generals. Edem Ekwo, Thompson Oliomoghe, Richard Maduegbunam, Friday Airende and Abass Adekanye, while the brigadier generals include Idi Adamu, Patrick Oviaghase, Samuel Ayo, Peter Aremu, Jacob Amao, Joshua Ibilaye, Ibrahim Alawode, Samuel Adesogan, Chukwuka Ani and Abel Okpeki. Speaking at a pulling out parade held in honour of the retirees, the corps commander of NASEME, Major General S. Labaran said that the retired officers served the country meritoriously.